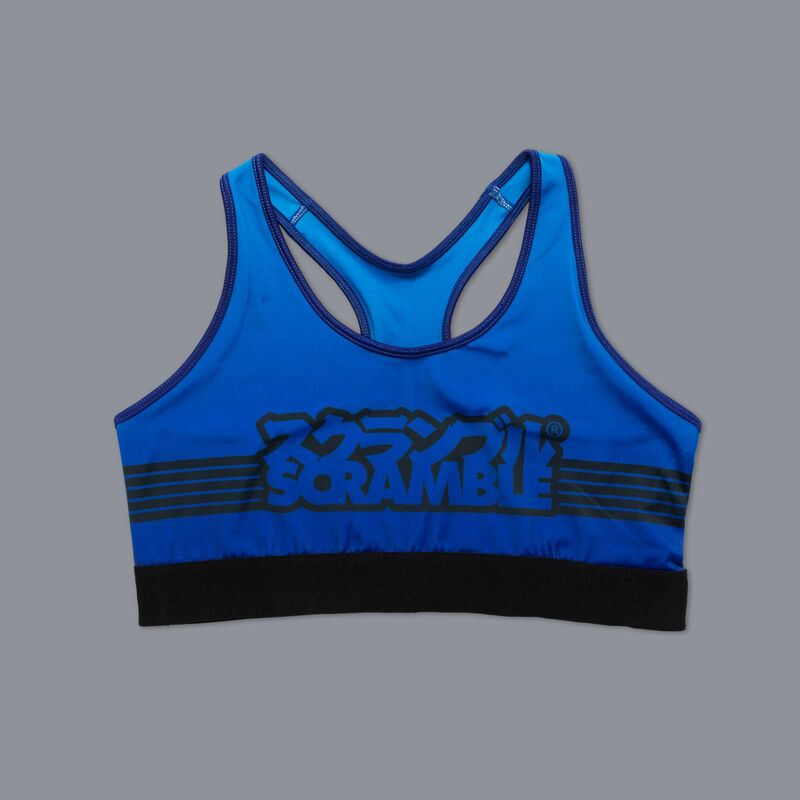 Sports bra from Scramble, suitable for MMA, BJJ and grappling in both training and competition. Behold the dual layer material! Marvel at the side opening for optional inserts! Delight at the pleasing aesthetic design as it soothes your worried brow. 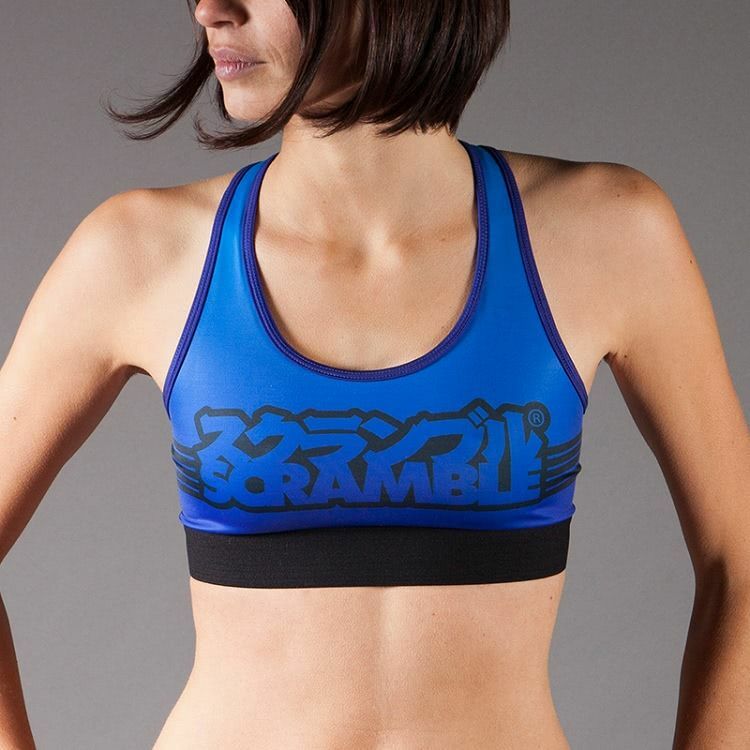 The kanji on the back of the sports bra means “female fighter”. But if you really want to be a rebel, you can wear this without being a fighter… or female. We’re wearing two right now!